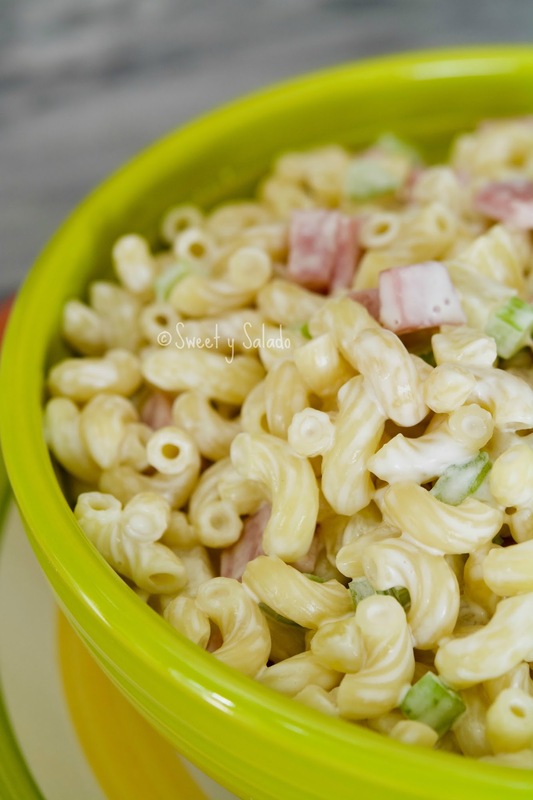 Ensalada de coditos or macaroni salad is another recipe that is made in different countries of Latin America. 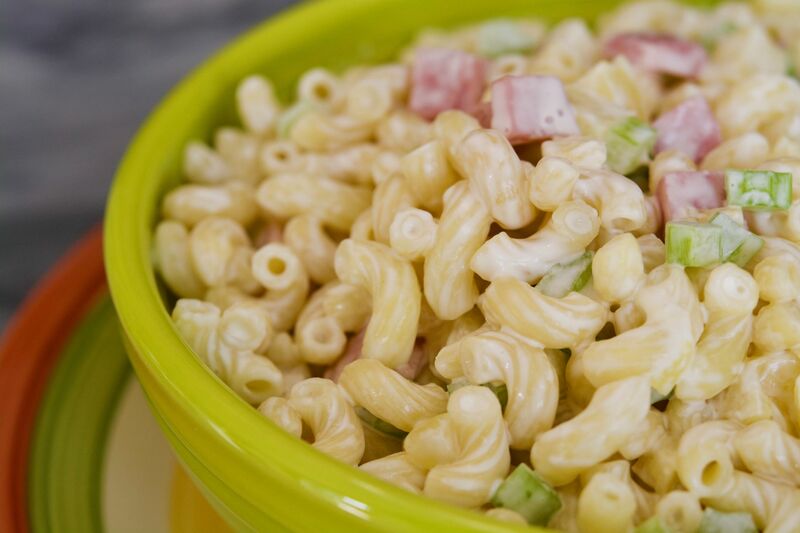 I have seen different versions depending on the country but they are all usually made with pineapple, ham, mayo and of course, macaroni. I have seen it made with jalapeños, sweet peas, green apples, olives, red onion, cheese, corn and even cilantro or parsley. But today we’re just going to make it really basic and then you can add anything else that you want to it. 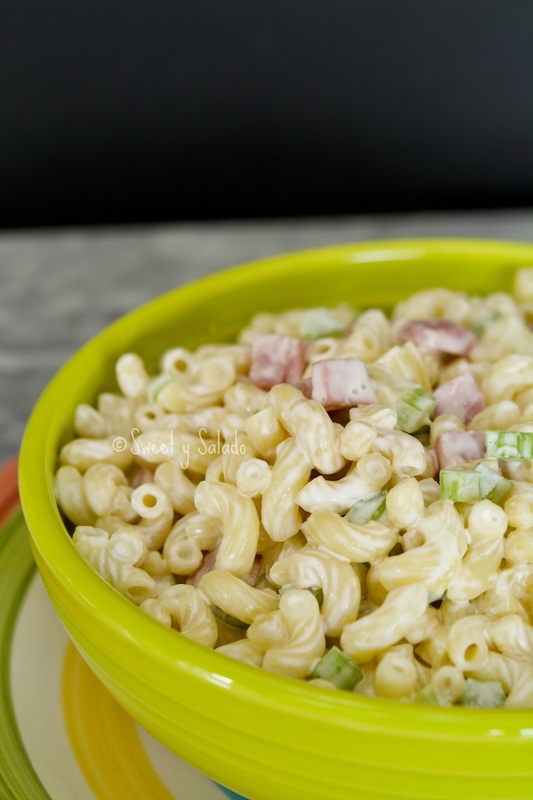 This salad is usually made during the holidays because it goes so incredibly well with ham, pernil (pork shoulder), pork loin, turkey or any other holiday dish. Not only that, but I find that it goes really well with fish and shrimp as well. Well, let’s just say that it goes with almost anything! Bring a large pot of salted water to a boil and cook the pasta according to the instructions on the package. Once the pasta is cooked, drain it well and let it cool completely. 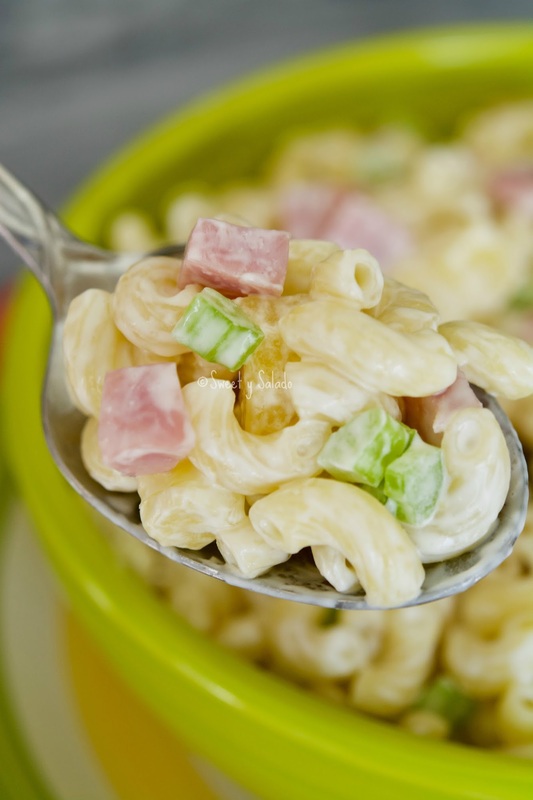 Place the pasta in a large bowl and add the mayonnaise, heavy cream, pineapple, celery and ham. Stir well and season with salt to taste. Chill for a few hours before serving. Cuál es la crema espesa?? Es crema de leche o la que en EE.UU. se consigue como heavy cream o whipping cream.